The story of the Williams Formula One Team is a difficult one to narrate, especially if one has followed Formula One since the 1980s and 1990s. 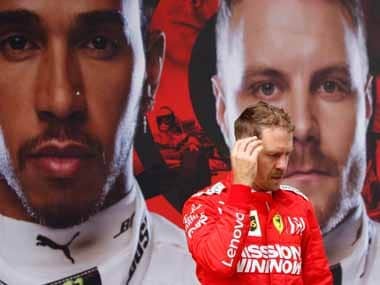 The once powerhouse and successful team in the paddock has lost its relevance and pace – with no indication of when it would come back or if it ever would. However, during our visit to the team's motorhome in the Spanish Grand Prix, their passion, legacy and history are difficult to miss. The motor home's walls are adorned with television screens that play a video of the team, their past successes and current line-up on repeat. Incidentally, Williams' last victory in Formula One was at the 2012 Spanish Grand Prix at the hands of Pastor Maldonado. 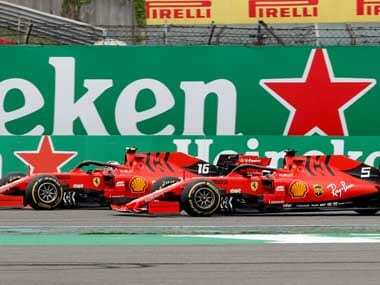 However, for fans following Formula One since its modern era (post-2000), Williams would have gone from being a team challenging at the front, to a team that fell-off to the mid-field only to be relegated to a backmarker status this season. While 'pace' is a relative problem to fix, it is Williams' reducing relevance in Formula One that surprises many – especially since along with Ferrari and McLaren, they are the oldest surviving team on the grid. 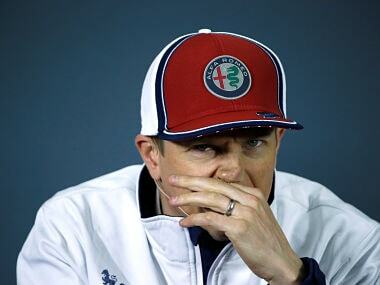 Let's hope that the team management at Williams have a solution to fix this political problem. At the 2018 Bahrain Grand Prix, Williams' Deputy Team Principal Claire Williams shocked everyone when she declared that a failure to introduce a cost cap in Formula One by 2021 could jeopardise the future of her team forcing it to shut down. This statement further confirmed Williams' reasons to field a Stroll-Sirotkin line-up for 2018. By no means are we questioning their talent, but would they still have made the cut for Williams had they not come with the money bags they do? In the five races contested in 2018, Williams has scored points once out of a possible 10 chances, five for each driver. The team from Woking is last in the Drivers' Championship with 4 points, 7 adrift of Sauber. In comparison, the team was fighting with Force India for the 'best of rest' and fourth place position last season. However, the team's failure to score points can't be blamed alone on their young and inexperienced driver line-up. Every team has one of those seasons when they end up building a not-so-quick car and it seems that 2018 is that year for the Williams. The story only gets more compounded by the case of their pay driver line-up. First things first, like Marcus Ericsson pointed out in his interview with Firstpost at the Spanish Grand Prix, it is extremely difficult for a young driver to prove himself while driving for a team that is struggling financially. The same could hold true for Sirotkin and Stroll too. A quicker car would have certainly tested their talent far more and brought more focus to their performances. However, in Stroll's case, his struggles to keep his car on track only aggravates his status as a pay driver and repeatedly brings one to question Williams' choices. In Spain, Stroll found the barrier in the practice and qualifying sessions, but managed to keep it together in the race to finish 11th (he made a good start too! ), just outside of the points. However, his performance went unnoticed and thanks to repeated television replays it would be his off-track excursions that will remain in memory! Stroll said of his race, "We scored no points but it was a good race. I made a good start again with a lot of positions. Then it was just steady running and I did everything I could, but just missed out on points. Eleventh is pretty much everything we could hope for today." In the case of Sergey Sirotkin, it was his selection ahead of Robert Kubica that turned heads and still continues to do so. The young Russian is one of only two drivers yet to score a point this season. However, out of the five races, Sirotkin has suffered from retirements in two, thanks to issues out of his control. Funnily enough, a sandwich bag being stuck in his brake ducts led to his retirement in Australia, while in Azerbaijan, he was sandwiched between Fernando Alonso and Nico Hulkenberg and ended up retiring by the third corner of the first lap itself. In Spain, the driver suffered some a strange seating problem. "It's been a very tough day. I had a good start and I was right in the mix before I almost got caught by a couple of spins (Grosjean) ahead of me. I needed to slow down to avoid them but once I was through, I was last. Today, it was the worst I have experienced throughout the whole race. I struggled a lot with my seating comfort which we are looking into," Sirotkin explained post-race. At the Spanish Grand Prix, Williams decided to have Robert Kubica drive in the Free Practice 1 session instead of Sergey Sirotkin – a move that could be a combination of contract terms (with Kubica) and their need to find answers regarding their car. However, it didn't help matters when Kubica, who termed driving the Williams an 'embarrassment' and called out the car's lack of pace and poor handling, finished the session in 19th, a place ahead of Stroll in 20th - with a time difference of a whopping 1.3 seconds. "In the end, it's difficult to say it was enjoyable because our car balance was very bad and it was very difficult to drive so it was difficult to enjoy. I know that if I would have a chance to drive the car every week, like permanent race drivers, there is more room to improve. Already now, I have seen it in winter testing, when I jump in after two months, whatever is missing is only a question because I'm doing it every two months – if there is something that is missing," said Kubica of his return to an official session after 8 years. But would putting Robert Kubica in the car be the answers to Williams' woes? Well, no. Currently, their problems are more on the engineering and design level, than at the driver level. A driver as talented and experienced as Kubica could steer them forward, but with the Pole slotted (and contracted) to do just three Free Practice sessions (others two being Austria and Abu Dhabi) and the in-season test this week, his understanding of the car would be limited and hence his direction and influence too. For Williams, being a Mercedes customer is half the battle won. This assures them a championship-winning power unit in the car; leaving the team to build a good chassis. 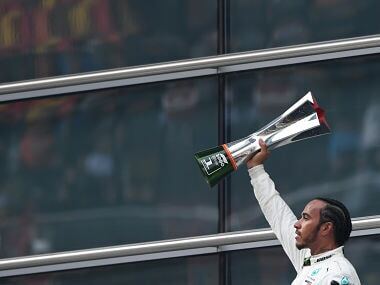 Surprisingly, Paddy Lowe's – one of the architects of Mercedes' ongoing dominance – influence on the team and their performance is yet to be seen. Could it be the lack of a proper budget and infrastructure that's holding Lowe back? Or is there general lack of direction and leadership in the team? For Formula One's future, the presence of an independent and historical team like Williams would be important – would the sport's powers keep this in mind while writing the sporting and financial terms for the future? Or would Williams' future lie in a Haas-Ferrari type of a partnership, one that would cost them their badge of a Formula One 'constructor' that they have been proudly flaunting since 1978? While initial reports have been negative from Williams, will the lure of money and technology from Mercedes be too compelling to refuse? Well, the Strolls (Lance's father, Lawrence), who could be thought of as being able to influence Williams right now, do seem interested.